The LogiLink PCI Express Card supports the USB 3.0 standard with a transfer rate of up to 5 Gbit/s. 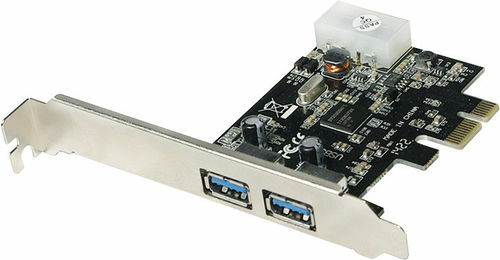 It offers the opportunity to connect two USB devices and is backward compatible with USB 2.0/1.1. Internal power supply via 5.25"